Nelson Co., VA – Now that Alexis Murphy’s cell phone has been found, the lead investigator working the case in Nelson County says their case against Randy Taylor is stronger than ever. “This as a whole, this is the largest case of my career, as far as the man power and the magnitude it’s a very, very large case,” Mays said. 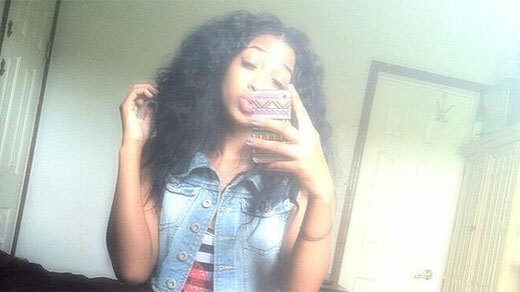 Mays has said from the very beginning that Alexis Murphy’s cell phone was important to find. Now that the phone has been found, Mays says it has proven to be a critical piece of evidence. “I feel that it is going to prove crucial to this case,” Mays said. Investigator Mays won’t say what was found on Murphy’s phone, but knowing what he knows, he says he’s confident Randy Taylor is her abductor. “This gentleman is a predator, and if he is out on the street he’s going to do it again, and keeping him where he is probably going to save lives. I have no doubt that we have the right person,” Mays said. Dr. Charles Murphy is a former CIA agent. He says the cell phone should prove valuable. “The primary thing they are looking for is tracking her movements, and also the calls that she made,” Murphy said. He also says the phone could further link Taylor to Alexis Murphy. “If they can put him in the location of where the phone was used,” Murphy said. Even though many may want more information than what is being released, former Campbell County Investigator Mike Milnor says the Nelson County investigators simply can’t show their whole hand. “Strategically you don’t want to release too much because there are certain aspects of the crime that only the suspect is going to know,” Milnor said. 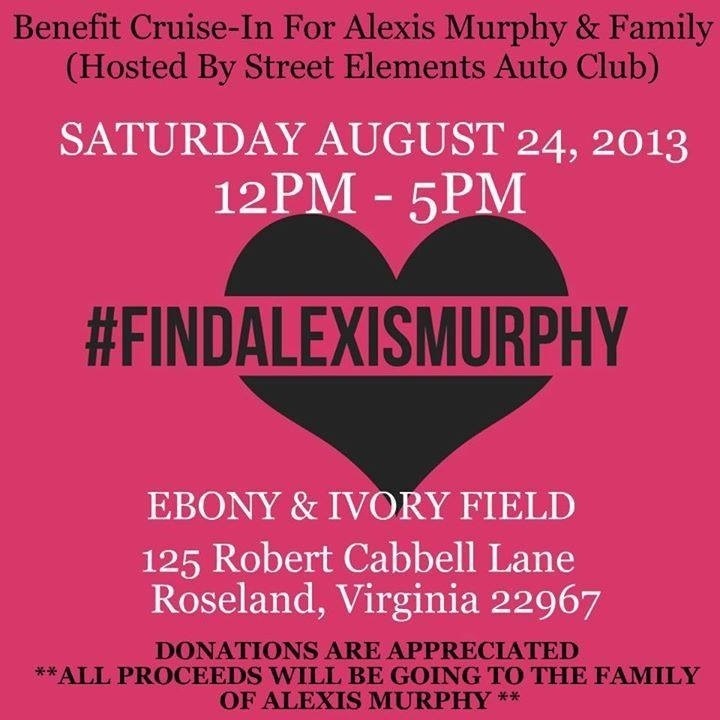 Everyone, so many people are trying to get Alexis Murphy national attention. So far she is not getting any. We at Straightnocut are asking you to repost her picture. She needs to be found. Let’s do this for her family. She is missing from Lovingston Virginia. 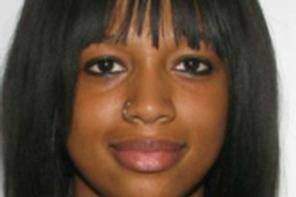 The search for missing teenager, Alexis Murphy, is now in its 13th day. There is still no sign of the 17-year-old who was last seen on August 3, but we are learning some new details about the investigation. Thursday the FBI confirmed that several cellphones were recovered. Friday, Murphy’s family says an FBI liaison told them the cellphones have been sent to the FBI base camp in Quantico for testing to determine if any belong to Alexis. An FBI spokesperson will not confirm that and also won’t say how investigators acquired the cellphones. An FBI spokesperson said should you find a phone or have additional information about the case, to call authorities. Family members say Alexis did have an iPhone 4 with her at the time of her disappearance. The FBI will not say if agents conducted any additional searches. Teams were not deployed at the house of suspect Randy Taylor or Cannery Loop Friday afternoon. Alexis was last seen on surveillance footage at the Liberty gas station in Lovingston around 7:15 p.m. on August 3. Taylor was arrested on August 11 and charged with abduction in connection with Murphy’s disappearance. If you have information about the case, call the Nelson County Sheriff’s Office at 434-263-7050.